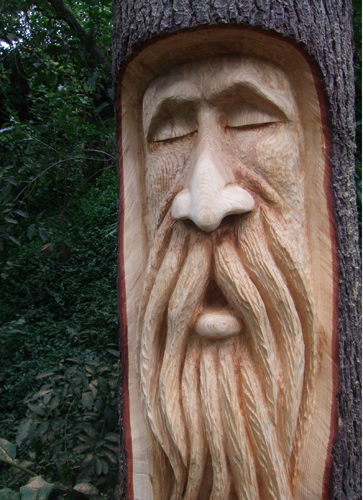 Some past commissions are shown below. 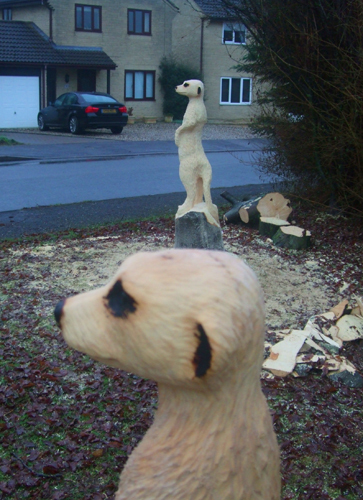 The wonderful family at Kingham Lodge commissioned me to create this enormous sculpture situated in the heart of their grounds. 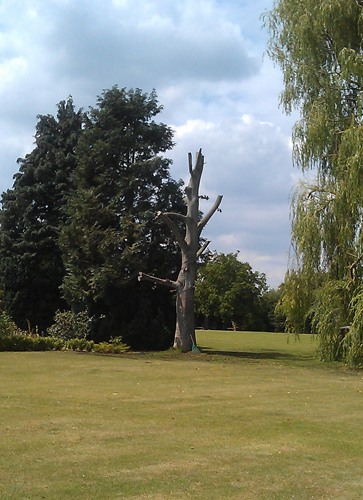 The lovers were to be of an up and coming wedding. 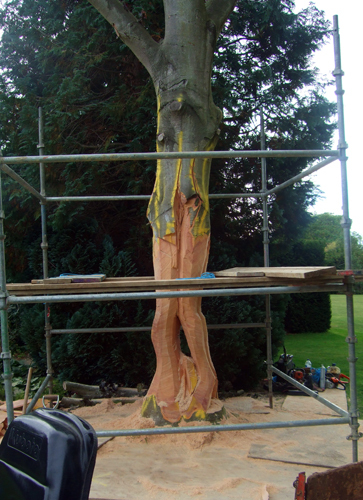 Carved out of Beech and around 17 feet tall. 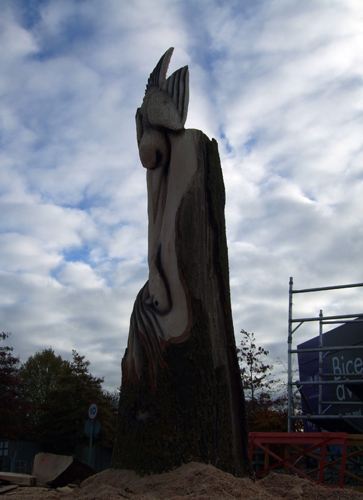 A Kingfisher hunting. 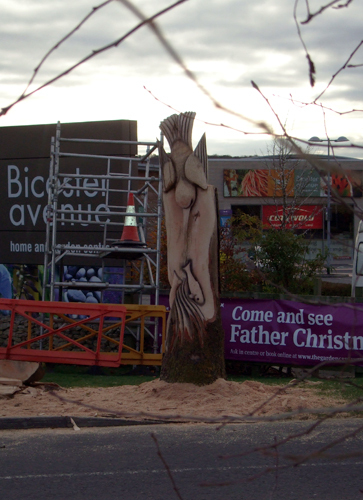 After the tree was killed by lightening the guys at bicester avenue decided to give it a new lease of life. 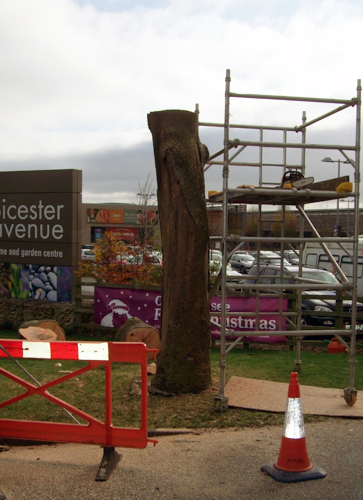 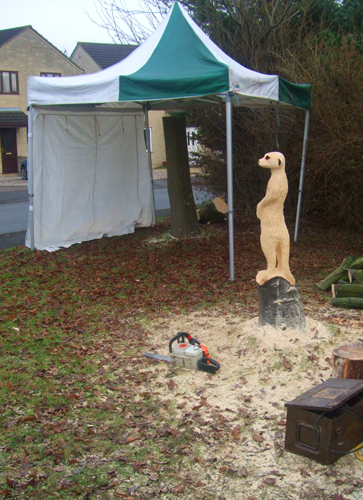 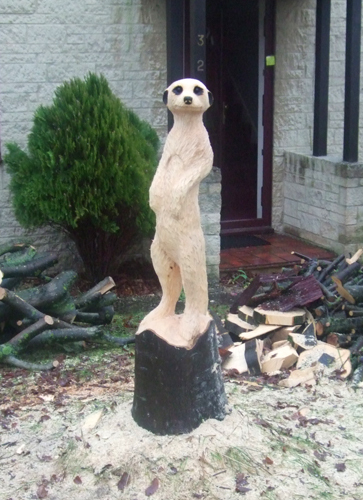 This Ash sculpture can be found at the entrance to Bicester Avenue shopping center. 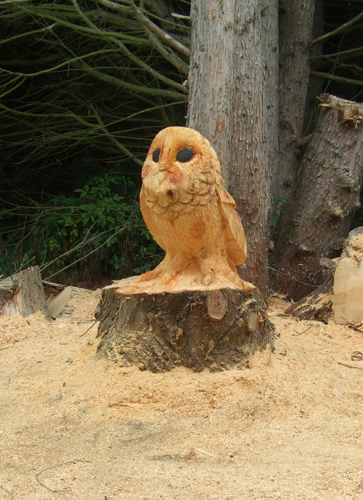 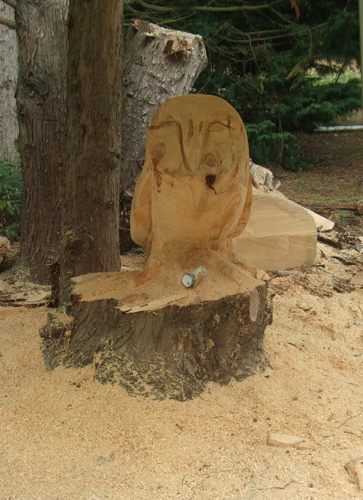 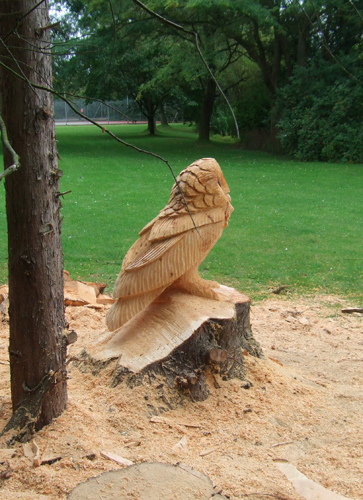 Made from the highly under-valued Leyland Cypress this massive owl overlooks a lake. 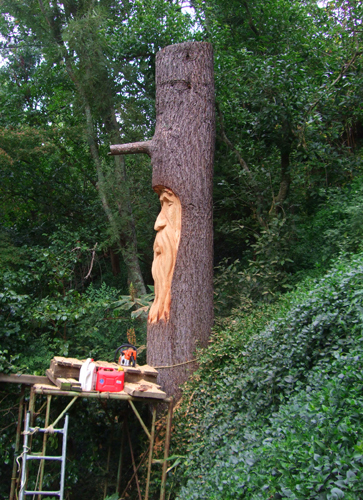 While on holiday in New Zealand I got the chance to work with a wind damaged tree. 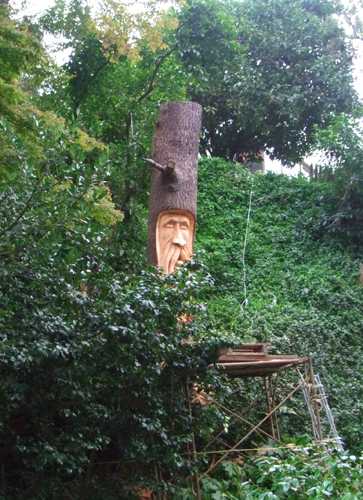 The old man overlooks a driveway that winds steeply up and through the trees.